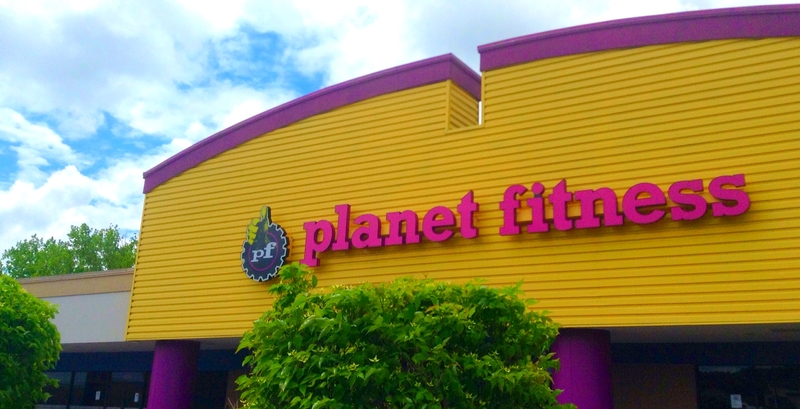 Planet Fitness has exploded in popularity in the U.S. in recent years. The gym now has 1,500 locations across 50 states (and more than 10 million members). The 24-hour fitness facility prides itself on being a “judgment-free zone.” However, unlike many other 24-hour facilities, Planet Fitness does close its doors for a few holidays. Planet Fitness is known as a discounted gym. Memberships start at $10 a month and you can pay for up to a year at a time, which saves you a bit of money. The gym has become nationally known as the budget gym, a place you can work out without having to spend $40+ a month. The lower price may come at a cost when it comes to holiday hours and schedule though. What Are The Planet Fitness Holiday Hours? As stated above, most Planet Fitness locations are 24 hours but each location is a franchise. This means it has a separate owner and manager than the Planet Fitness one town over. Because of this, some locations have altered hours on certain days of the week (like Sunday) and oftentimes close or have shorter hours around the holidays. Most of the time, the gym owner will post a notification or sign in Planet Fitness a week or more ahead of time if they plan on closing the gym. So, keep an eye out for any posting like that. However, Planet Fitness owners typically have altered hours or are closed completely on the following holidays. Not all of these holidays means your gym is closed. Some holidays may simply mean altered hours for your Planet Fitness. For instance, on Christmas Eve, the local Planet Fitness closed around 4 p.m. and did not re-open until 5 a.m. on the 26th. These are federal holidays in which the individual owner can decide whether or not the club will be closed. Holidays are not the only days that may change the normal 24-hour Planet Fitness schedule. What are the Planet Fitness Hours? Because Planet Fitness is a franchise and each location is owned and operated by a different manager, the schedule may vary as well. All Planet Fitness locations are open 24 hours. However, some services may not be available 24 hours a day. For instance, if your Planet Fitness location offers tanning services, they may only be available until 10 p.m. Individual owners can decide their holiday hours as well as some of the hours and services available throughout the week. For example, a Planet Fitness location in Gastonia, N.C. closes on Saturday night and has shorter hours on Sundays. This will vary from location to location, so make sure you confirm your specific club’s hours of operation. Do you use a Planet Fitness? What are its hours of operation? In more recent years you’ve probably seen Planet Fitness buildings popping up around your hometown. The franchise has taken America by storm. It hosts more than 6 million members across 48 states. It is known for its low membership prices and 24-hour services. Planet Fitness, which prides itself on being a “judgement-free zone” for people who want to go work out, is a franchise. This means that each individual location has a separate owner and manager. Most Planet Fitness locations are open 24 hours, however, some may have altered hours on certain days of the week and around the holidays. This all depends on who owns that location. So, what are Planet Fitness’ holiday hours? What Are Planet Fitness Holiday Hours? When it comes to the holidays Planet Fitness locations may differ. Although you don’t need an employee to be present when you get into PF (you are given a key card), Planet Fitness likes for there to be an employee present at all times. Because of this some locations may close on certain holidays. Each of these is federal holidays in which the individual owner can decide whether or not the club will be closed. Hours on days surrounding holidays may be impacted as well. For instance, the day before Thanksgiving or Christmas Planet Fitness may close early. Holidays are not the only days that may cause an alteration in the normal 24-hour Planet Fitness schedule. What are Planet Fitness’ Hours? As previously stated, Planet Fitness is a franchise and each location is owned and operated by a different manager. All Planet Fitness locations are open 24 hours, however, some services may not be available 24 hours a day. For instance, if your Planet Fitness location offers tanning services they may only be available until 10 p.m. Also, if you are attending Planet Fitness as a guest you may be restricted to certain hours. Individual owners can decide their holiday hours as well as some of the hours and services available through the week. For example, a Planet Fitness location in Gastonia, N.C. closes on Saturday night and has shorter hours on Sundays. This will vary from location to location so you will want to confirm your specific club’s hours of operation.